39 people killed and at least 40 wounded in a shooting attack during New Year's Eve celebration at a nightclub in Istanbul. 39 people were killed and at least 40 were wounded when two gunmen opened fire in a nightclub in Istanbul during New Year’s Eve celebrations on Saturday night. 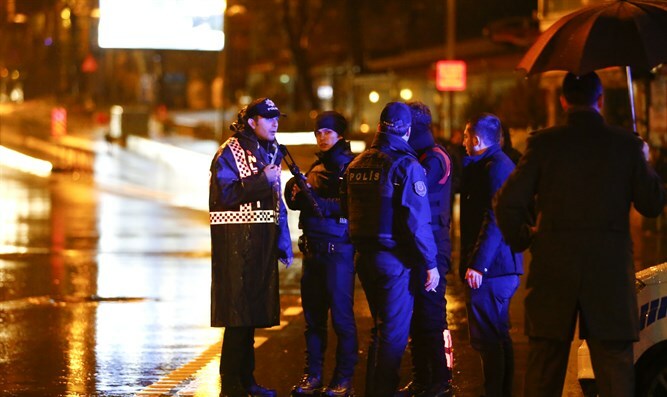 Footage from the area appeared to show a number of ambulances and police vehicles outside the Reina nightclub, located in the Besiktas area of the city. CNN Turk reported the two attackers were dressed in Santa costumes. "Unfortunately, at least 35 of our citizens lost their lives. One was a police officer. Forty people are receiving treatment in hospitals," Istanbul governor Vasip Sahin told reporters, according to the AFP news agency. "What happened today is a terror attack," he added. The local Dogan news agency reported that some witnesses claimed the attackers were "speaking Arabic", while NTV broadcaster said special force police officers were still searching the nightclub. The attack comes three weeks after two explosions outside a soccer stadium in Istanbul killed 29 people and wounded 166. In July, an attack on the Ataturk Airport in Istanbul left 45 people dead, including 19 foreigners. Countries around the world were on heightened alert during New Year’s Eve celebrations on Saturday due to terror threats.